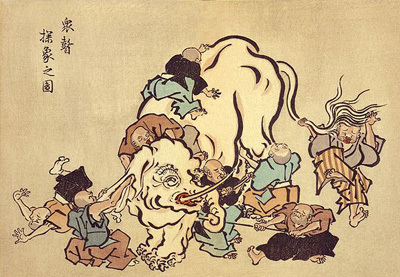 There's an old Indian story about six blind men who go to visit an elephant. One touches its leg and decides that elephants must be like trees. A second examines its trunk and declares they are like snakes. A third feels its side and concludes they are like walls. You can imagine the rest. Everyone is right yet they are all wrong and it all ends in an argument. Only a major leap of the imagination, inspired by a lot more careful feeling around, could reveal the true nature of the animal that combines so many different characteristics. In physics such leaps do sometimes occur. And when they do — when seemingly different things are unified under one idea — this represents a great advance in our understanding of how the world works. One of the first examples of such a leap was Newton's realisation, in the 17th century, that the motion of the planets around the Sun and an apple falling to the ground are due to the same thing: the force of gravity. Almost 200 years later James Clerk Maxwell unified electricity and magnetism in his theory of electromagnetism. The drive for unification continued and today we know that there are just three fundamental forces (gravity, the electroweak force and the strong nuclear force) and that there are only twelve basic building blocks of matter (see this Plus article for more information). But there is a problem. Gravity is described by Einstein's general theory of relativity, which applies to the world at the scale of planets, stars and galaxies. The other two forces are negligible on such large scales. They come into play at the level of atoms and even smaller components of matter. This tiny world, in which gravity usually plays no part, is described by the other great theory to come out of the twentieth century: quantum mechanics. Both theories do exceptionally well when they are tested against reality. But they are in conflict about the nature of space, or, as Einstein would have it, spacetime. When you combine the two theories you get mathematical results that make no physical sense: they imply that spacetime should tear itself apart (see this Plus article for more information). So the biggest challenge for twenty-first century physics is to come up with a unified theory of quantum gravity, which describes the world at all scales and retains the aspects of general relativity and quantum mechanics that work so well. Currently the strongest contender for such a unifying theory is something called M-theory. The name was invented by the originators of the theory, but nobody seems to know what the M stands for — it could be "mother", "mystery" or even "magic", though it's probably the slightly less enticing "membrane". The Isaac Newton Institute, a mathematical research institute in Cambridge, is currently holding a six-month-long programme, bringing together the leading lights in the field. We went along to meet two of them, David Berman of Queen Mary, University of London, who organises the programme, and Andrew Strominger of Harvard, to find out more about this supposed mother of all theories. The origin of M-theory lies in a clever trick designed to overcome the quantum gravity conundrum. Rather than thinking of the fundamental particles that make up matter — for example electrons — as being like points, think of them as tiny little strings. Like the strings on a guitar, these fundamental strings can vibrate, and it's these vibrations we observe as fundamental particles and forces. That's the basic idea behind the pre-runner of M-theory, string theory, and it gets around the mathematical and conceptual problems that arise from combining relativity and quantum mechanics. "It is a natural idea in music," says Berman. "We don't think that every single sound in a piece of music is produced by a different instrument; we know that a rich and varied set of sounds can be produced by even just a single violin. String theory is based on the same idea. The different particles and forces are just the fundamental strings vibrating in a multitude of different ways." String theory has not been verified directly in experiments because the hypothetical strings are far too small, a predicted 10-34m, to be detected by any methods available in the foreseeable future. But during the 1970s and 1980s string theory emerged as a prime contender for a unified theory of quantum gravity: it was free from contradictions, its predictions about reality made sense and its mathematics was seductively elegant. The only problem was that the theory started to multiply. "What was remarkable was that people developed five possible types of string theory," says Berman. "That's not very satisfactory because what you want is a unified theory. Why would you have this choice of five different possible string theories? What M-theory did, when it happened in 1995, was to unify the five different types of string theory." The leap that created string theory was to move from points to strings: from zero-dimensional to one-dimensional objects. M-theory goes a step further. The theory itself requires 11 dimensions to work in and its fundamental objects are not strings, but two-dimensional vibrating membranes. The idea is that these membranes are wrapped up so tightly that they appear one-dimensional, just as a tightly rolled up sheet of paper viewed from far away appears like a line. The five different types of string theory correspond to different aspects of M-theory, only that in the string theories the tightly wrapped-up membranes are treated simply as strings. The fundamental particles and forces we observe in nature come from specific vibrational modes of the membranes in M-theory. But within its 11 dimensions there is room for a lot more. Objects of higher dimensions, simply called branes, also play an important role in M-theory (in fact, they had already emerged as important objects in string theory). Their physical interpretation is a little trickier, but there are some intriguing possibilities. "It has been proposed that we could actually be living on a three-dimensional brane," says Berman. "The idea is that we're trapped in this 3-brane and confined to it. It's like in Superman III, where the baddies are trapped in a two-dimensional plane." This is just one possible answer to the question of how we fit into the multi-dimensional world of M-theory. "It's a very complicated question, but this is one possibility." In terms of unification M-theory has been a double success: it has unified the five string theories which themselves unify Einstein's theory of relativity and quantum mechanics. But why should anyone believe in such a theoretical construct which cannot be directly tested in the lab? One reason comes from those gravitational monsters we call black holes. Black holes are formed when a large amount of mass becomes concentrated at a point in space, for example during the collapse of a massive star. The resulting gravitational pull is so strong that nothing, not even light, can escape from the vicinity of the point: hence the name black hole. You can't ignore gravity when you're thinking about black holes, but the small scale also means that effects described by quantum mechanics come into play. So black holes can make or break a candidate theory of quantum gravity: the theory needs to give a coherent description of them, otherwise it has failed. 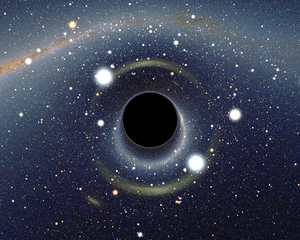 "The biggest question about black holes is what's inside them," says Strominger. "One of the legacies of twentieth century physics is that we've been given two radically contradictory pictures of what's inside a black hole. One of them, which came from Einstein and the physicist Karl Schwarzschild is that there is nothing inside. In fact, there's less than nothing. It's not that there is empty space inside a black hole: it's the end of space and there isn't an inside." The other picture was provided by Jacob Bekenstein and Stephen Hawking in the 1970s. When you're looking at a region of space you can ask yourself how much information you need to describe what's going on in it. The amount of information is measured by a number called the entropy. For example, to describe a messy room you need lots of bits of information: you need to give the exact location of every single sock and empty tea mug. So a messy room has a high entropy. Describing a tidy room requires less information, so it's got a lower entropy. Based on some pretty elementary musings, Bekenstein proposed that, despite not being ordinary regions of space, black holes too have an entropy. And he suggested that the entropy of a black hole is always larger than the entropy of an ordinary region of space of the same size. So a black hole contains more information than any other region of space. Work by Stephen Hawking confirmed and refined Bekenstein's results. "According to Bekenstein and Hawking, a black hole behaves not as if it were empty, but as if it were full of stuff," says Strominger. Bekenstein and Hawking's result cannot be tested for black holes of cosmological sizes, but their reasoning was so elementary that it is universally believed to be true. But how can we make sense of a black hole, which is after all just a gravitational entity, containing information? To explain where this information resides we need to understand the stuff that makes up gravity at the smallest scales. We are in the position of a 19th century scientist who knows the laws that govern how a gas behaves without knowing that gases are made up of atoms. One of the major achievements of M-theory has been to give a description of the microscopic structure of gravity in terms of strings. This explains the entropy puzzle: the information is in the strings. The fact that M-theory has been able to explain the black hole information question has given the theory a major boost. And black holes weren't the first challenge the theory has overcome. "By the time it came to describing black holes the theory had already jumped through many hoops," says Strominger. There was no more room to fiddle with it: you couldn't just tweak an equation here or add a term there to make things work. The ability to simultaneously satisfy many demands counts as theoretical evidence that M-theory might be the solution to the quantum gravity conundrum. "We know there has to be a solution because we're here. For a time it looked like there might be unrelated solutions in theory [the five different versions of string theory], which was very weird, but now there's only one." But what about hard experimental evidence for M-theory? We will not be able to see the fundamental membranes in experiments any time soon. There is some hope that the Large Hadron Collider (LHC) at CERN will provide evidence for a concept that's closely related to M-theory, called supersymmetry. It implies that fundamental particles should have siblings, called their superpartners, whose existence the LHC may be able to detect. But while supersymmetry is a necessary consequence of M-theory, the converse doesn't apply: there may be supersymmetry in the world even if M-theory is false. So discovering supersymmetry at the LHC would only count as indirect evidence for M-theory. But Strominger does not think that the lack of experimental evidence should deter us. "I don't think that research on this most fundamental of all questions should come to a screeching halt because we don't have a proposal for an experiment that would [confirm the theory]. There is some chance that we will see supersymmetry. It's not the same thing as M-theory, but [discovering it] would certainly put us in a good mood. The kind of reasoning that got us to supersymmetry is like the kind of reasoning that got us to M-theory. So [seeing supersymmetry] would be evidence for the power of pure reasoning, the power of the human mind." Last year results from the LHC at CERN made a splash, providing strong evidence for the notorious Higgs boson (you can read more on this on Plus). This counts as a triumph for the power of the human mind: it was purely theoretical considerations that led the physicist Peter Higgs to predict the particle's existence nearly 50 years ago. Now it has, to all intents in purposes, been found. Perhaps in another 50 years we will have similarly strong evidence for M-theory and it will enter the ranks of established physical theories, along with Newton's laws of motion and Einstein's theory of relativity. This article is part of the Researching the unknown project, a collaboration with researchers from Queen Mary, University of London, bringing you the latest research on the forefront of physics. Click here to read more articles from the project. 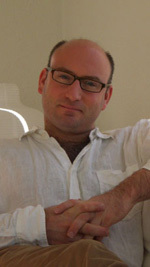 David Berman is Reader in Theoretical Physics at Queen Mary, University of London. He previously spent time at the universities of Manchester, Brussels, Durham, Utrecht, Groningen, Jerusalem and Cambridge as well as a year at CERN in Geneva. His interests outside of physics include football, music and theatre and the arts. 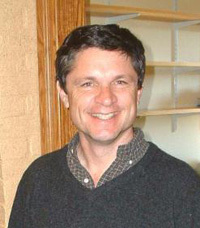 Andrew Strominger is Professor of Physics and Director of the Center for the Fundamental Laws of Nature at Harvard University. Marianne Freiberger, co-editor of Plus, interviewed Berman and Strominger in Cambridge in November 2011 and wrote this article with lots of extra help from Berman.